I am a PhD candidate of the University of Groningen (RUG), currently based at the NIOZ Royal Netherlands Institute for Sea Research. My project studies shorebirds’ behavioural responses to habitat degradation at stopover sites, focusing on threatened shorebird species in the East Asian-Australasian Flyway. To do so, I conducted four expeditions in Northwest Australia to attach small satellite trackers to shorebirds (Bar-tailed Godwit, Great Knot and Red Knot) to track their migration. 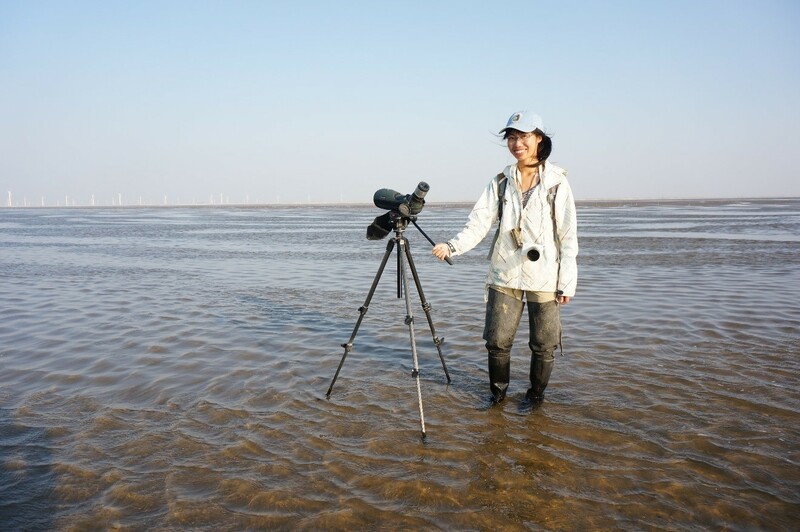 I also set up a field expedition program to sample every year the prey at about 20 coastal intertidal mudflats in China where these tracked shorebirds stopped during migration. We found that prey densities are decreasing at some of our study sites. From the course, I hope to learn to construct a framework linking the changes in the resource landscape to shorebirds’ foraging and movement patterns. Based on that, we can generate hypotheses which can be evaluated by our field data.